Coinciding with inauguration of Sardar Patel's statue in Gujarat's Kevadia, the marathons are aimed at spreading the message of national unity. 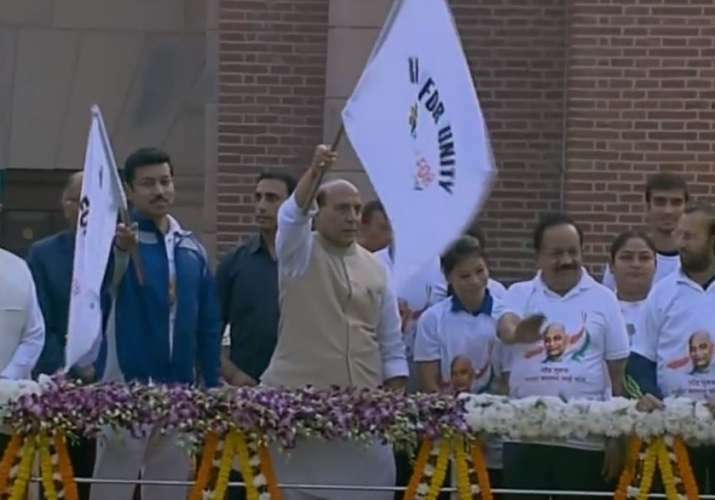 People across the country are participating in the Run for Unity marathons being organised to mark the birth anniversary of Sardar Vallabh Bhai Patel. In New Delhi, the event was inaugurated by Union Home Minister Rajnath Singh at Major Dhyanchand Stadium. Many renowned sportspersons have joined the run, including former five-time world boxing champion Mary Kom and gymnast Dipa Karmakar. Zafar Iqbal (Olympian, Hockey), Sharad (Para Athelete), Abhishek Verma (Archery) and Sonia Lather will also take part in the 'Run'. 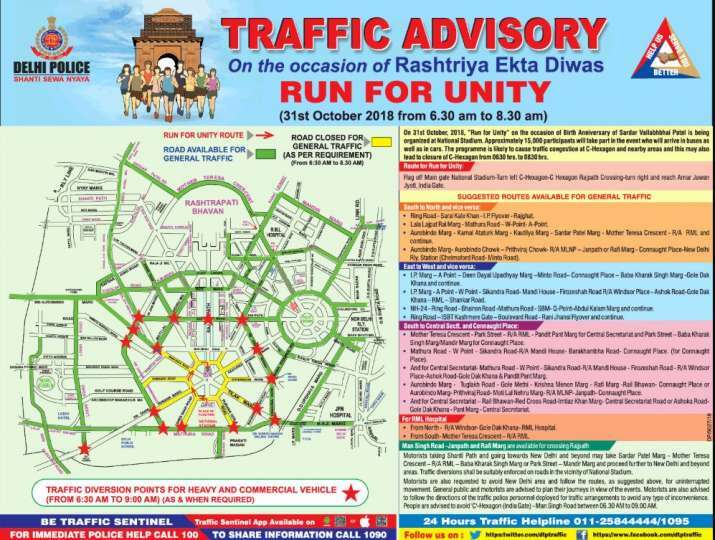 07:44 am: New agency ANI shares visuals of Home Minister Rajnath Singh flagging off marathon runners. According to reports, several celebrities, sports stars, and even techies have been roped in to make the marathons a success. The Government is planning to make this day special, to reinforce the dedication to preserve and strengthen unity, integrity and security of the nation by celebrating it to commemorate the birth anniversary of Sardar Vallabh Bhai Patel, one of the founding fathers of the Republic of India, he added. Since 2013, October 31 is celebrated as the ‘Rashtriya Ekta Diwas’ (National Unity Day) to commemorate the legacy of Sarday Patel, who is credited for bringing India's princely states under one flag after independence. The marathons, which annually see thousands of participation, are likely to have an unprecedented turnout this year.